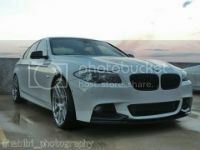 He guys wanted to see any meets in Austin for f10 owners or BMW in general. Pretty busy right now but would love to meet up fellow enthusiasts soon. Let's make it happen! Picked up my 535 a few weeks ago and starting mods. Was hoping I'd run across some locals here! Still any activity/meets for F10's in the ATX area? Apologies for digging up such a dead thread, but is this offer still valid? I'm looking to get into the E-SYS coding and would love to have someone to show me some basics the first time around. I'm in the Austin area. I have a 2014 535i and have some parts available. Let me know what you're looking for. I have a CF spoiler, oem exhaust with diffuser, oem m-sport springs, interior trim wrapped in CF, LCF steering wheel. I think that's all I have. I also details cars on the weekend if you're looking for that service too. I just purchased my first f10 535i m sport (carbon black) and I was wondering if anyone in the Austin TX area can code these cars?